Cadet at the Greenwich Royal Naval College. 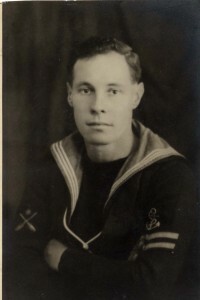 Aged twenty-nine when he died. 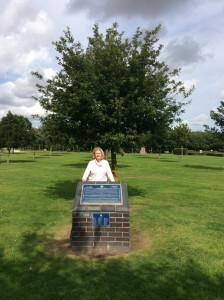 Ann Whaley, Sydney Winsborough’s niece, taken in September 2015 at the Dunedin Memorial, National Arboretum. Behind her is the HMS Dunedin tree.